If you have a special gem or jewelry that you want to be redesigned, our team of jewelry experts can do that for you. We have equipped our store with the finest tools to be able to provide our clients with the design of their liking. However, our jewelers can also design one for you, in case you do not have anything specific in mind. Thomas A. Davis also offers other services such as jewelry appraisals, pearl stringing, diamond setting and more. If you plan to buy your soon-to-be fiance an engagement ring, get it from us. We guarantee that she will love to show off the ring's exquisite design. We know that some of these gems or pieces of jewelry have been part of your family for generations. As a guarantee, we will make sure that we will take extra care in handling your jewelry. Apart from customizing, we also do jewelry repairs, diamond setting, and pearl stringing. 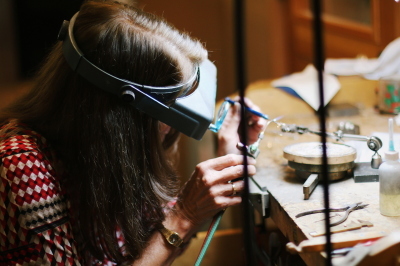 Whatever you think needs to be done for your jewelry, Thomas A. Davis, one of the best Jewelers in Michigan, will do it for you. 15-day return on all in-stock items excludes special orders, damaged or worn items, altered, sized, engraved or estate items. 100% credit on all diamonds (stone only) for trade in on new purchases of twice the value or higher. 1-year shank wear through on rings. 1-year channel and prong setting wear. All diamond grading guaranteed to certify. Lifetime jewelry cleaning and checking. Free sizing on new rings (one time only). Free soldering together of wedding sets (if both rings purchased from us). New watches 1-5 year limited factory warranty, excluding damage. Lifetime free battery replacement (Some Exclusions). Free daylight savings time resetting. Free shipping and handling for factory warranty work. Six months limited warranty on estate watches, excluding damage. (not warrantied for water resistance or accuracy). 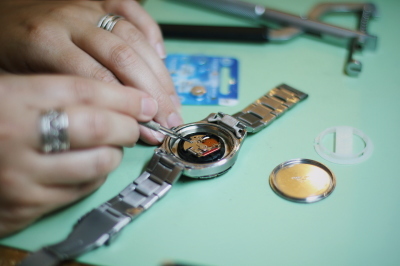 We will make every effort to preserve the security of your watch. All battery Replacement is at Customer Risk, we cannot be held liable for any damage to the watch, during or after battery replacement beyond the $10.00 service fee. Many factors such as; Age, wear, condition, water resistance and craftsmanship may affect the watches integrity. 1 year guarantee on jewelry repairs, limited to specific repairs done and limited to the value of repair charges only, not responsible for the loss exceeding cost paid for the repair.